There are several accepted definitions of social marketing, which is not to be confused with social media (a promotional tactic) or behavioral economics (analysis that explains decision-making). Below is the definition that Hardwick Research uses. 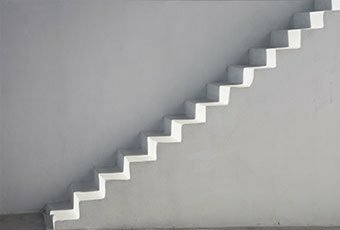 There are seven steps where market research is most beneficial to the planning process. As with any major project, it is important to conduct primary and secondary research in order to make informed decisions. Different steps in the process implement different types of market research, including in-depth interviews, focus groups, segmentation studies, clustering, tracking studies, intercepts, and observational research. The methods you choose to implement will depend on your goals and objectives. 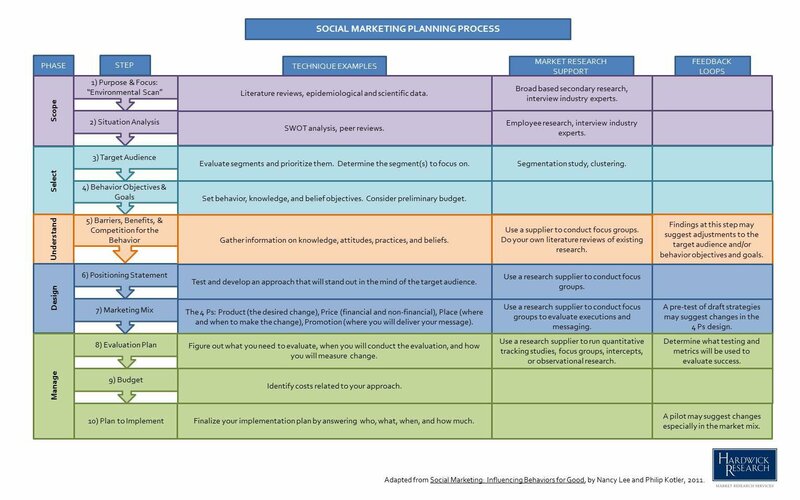 By clicking on the image below of the Social Marketing Planning Process, you can see the phases, steps, technique examples, market research support, and feedback loops of the process.